Beautiful bread to be sliced at the event or sliced into stripes. Perfect for dipping. Wonderful Finger Food with delicious options from Brie to goat cheese, Pesto with roasted vegetables, Hummus and much more. Vegan options. This is the traditional bagel sold by street vendors in the old city of Jerusalem. It is a long,crispy on the outside, soft on the inside bagel, covered in a lightly sweet sesame and called Baygalach Jerusalmi. Variety of fresh baked loaves. Vegan and Gluten free options available. 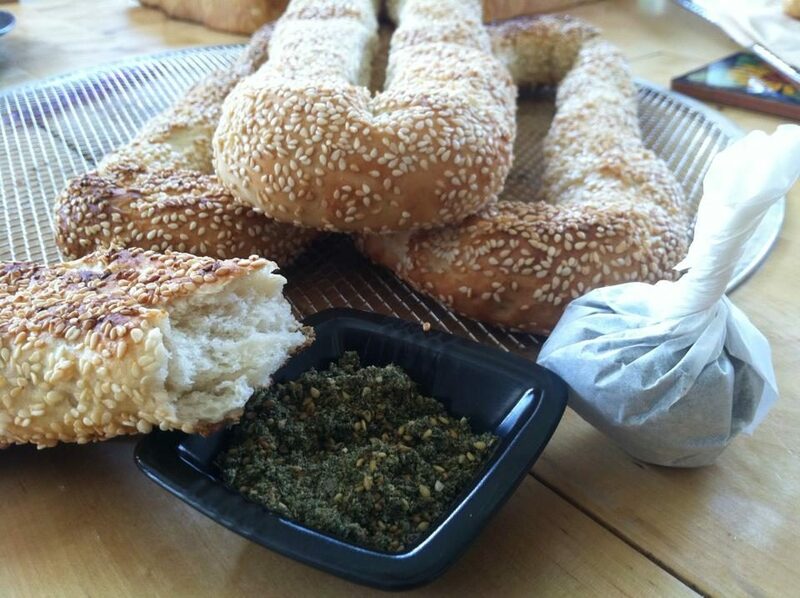 Many of our breads such as the flat breads, pita and Farina are naturally Vegan. We do offer gluten free breads as well.